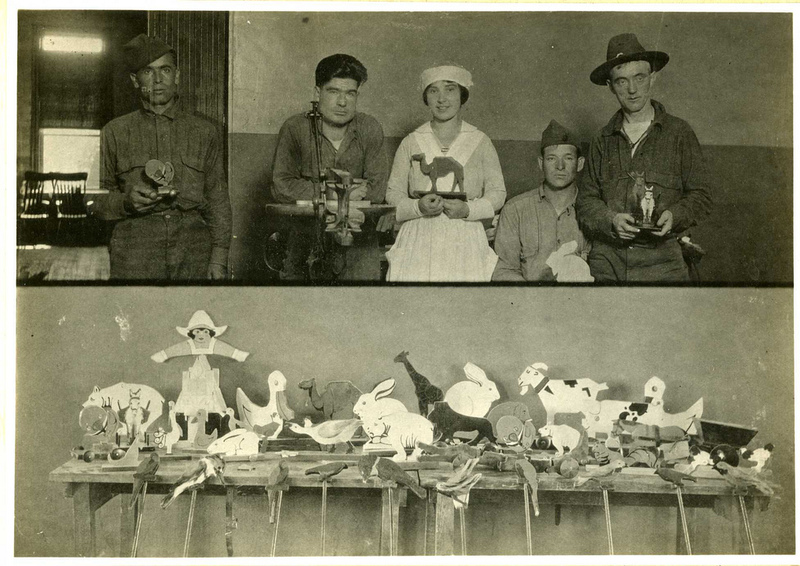 Occupational therapy clients at a psychiatric hospital during World War I show off toys they made. Toy making was a part of occupational therapy at a psychiatric hospital during World War I. These occupational therapy clients display the toys they made in this photograph.